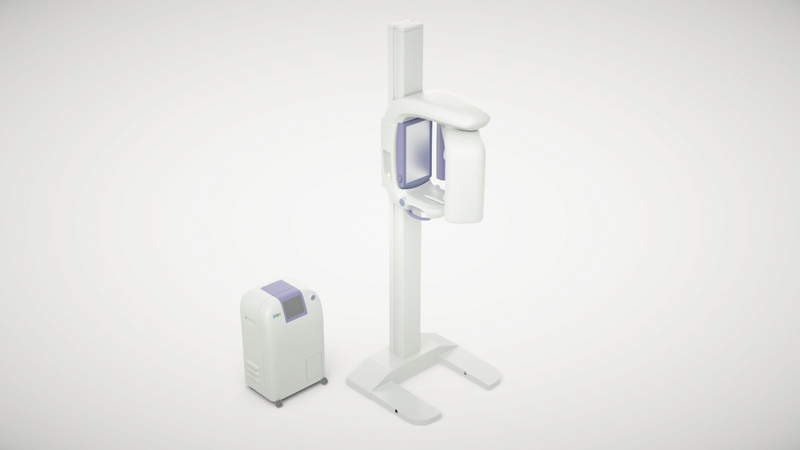 A dental device that uses X-ray radiation to make images. For removing heat from the x-ray generator. For backing up the device during power outages and unstable power conditions. AC servo motors are used in the vertical axis and rotation axis of the camera unit. Servo amplifiers are used to synchronize the motors. Controller is used to control the rotation angles, speed and direction of the machine.